Mrs. Alice Rosaline Koroma , the mother of the President His Excellency Dr. Ernest Bai Koroma, passed away suddenly last night. She was 80 years old. The news of this huge loss struck the nation and diaspora by storm this morning after journalists in Freetown and supporters of the President started sending text messages announcing the death of the woman who is loved by multitudes of people for her kindness and humility . Ambassadors and diplomats who had heard the news started calling colleagues all over the world to pass on the sad information. 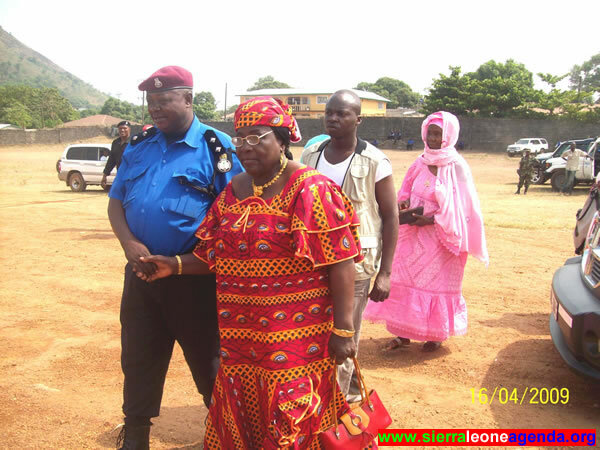 The whole of Makeni is in huge shock as residents who will miss Mrs. Koroma’s kind and loving concern describe her passing as a massive shock. Throughout her life, she was known as a very kind woman who shared whatever she had, especially food, with other people . Even when her son became President of Sierra Leone, that did not change her personality as she continued to be a loving, kind and humble woman, providing godly counsel and support to all who desired them. The death will be a monumental blow to the President because apart from the psychological and emotional trauma and ripples usually caused by the death of a parent , he was very close indeed to his mother but he will be comforted by the fact that his dearly beloved mother passed away without suffering the often painful throes associated with certain kinds of death. According to family members , she suffered a heart attack during the night and died shortly after. Madam Koroma was a good mother who brought up her kids to appreciate the abiding values of love, humility and concern for other people’s welfare and those who know the family well say that this is reflected in the personality of her children. You will not find any of them who is not humble. President Koroma’s humble, forgiving and tolerant nature are often attributed to the strong christian training he received from Mammy Alice and his late father, Pa. Sylvanus Koroma. Though nothing can appease the loss of a dear one, it is also comforting that Mrs. Alice Rosaline Koroma was a devout Christian woman known for her strong and abiding love for and faith in God. PSALM 116:15 says : “Precious in the sight of the LORD is the death of His godly ones.” ( New American Standard Bible ). Before he was resurrected , the Lord Jesus Christ assured his disciples : “Let not your heart be troubled: ye believe in God, believe also in me. In my Father’s house are many mansions: if it were not so, I would have told you. I go to prepare a place for you. And if I go and prepare a place for you, I will come again, and receive you unto myself; that where I am, there ye may be also.” (John 14:1-3 ). 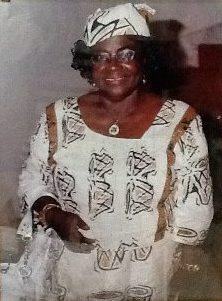 Mama Koroma has gone to be with the Lord. I want to comfort the President and family with these words from the infallible Word of God. ON BEHALF OF THE KANU FAMILY , members of the Covenant Child World Evangelistic Ministry of New Jersey and the Management and Editorial Boards of Cocorioko and the Sierra Leone Daily Nation newspapers, I extend my heartfelt sympathy to the President, his brothers, sisters and all other members of the family on this incalculable loss. May her soul rest in peace. May her soul rest in perfect peace. Take heart President Koroma, the LORD giveth and has taketh. May Her gentle and kind soul rest in Perfect Peace. I had the enviable honor of meeting her only twice, in the seventies, and it was readily apparent from those meetings that she was full of love, compassion. mercy and generosity. Her passing away is indeed a great loss to all those who knew her. May the Almighty God have mercy on her soul and may she rest in everlasting peace. 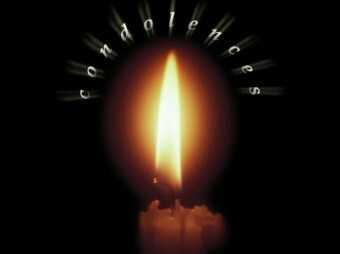 My condolences to the family and especially to President Koroma, Florence and their other siblings. May the lord almighty grant her eternal rest and may light perpetual shine on her. Words can’t express my sympathy to His Excellency President Ernest Bai Koroma and family for the loss of a mother, sister, aunty, good neighbor, etc Mommy Alice. Sierra Leoneans around the world mourns with you. Isaiah 41: 10 reads, “Fear thou not; for I am with thee: be nt dismayed; for I am thy God: I will strengten thee; yea, I will uphold thee with the right hand of my righteousness.” On behalf of my mother Rev. Judith Sulimani, brother, sister, wife Sia-Bintu Sulimani, children and the Sulimani family worldwide, we pray that God would comfort His Excellency President Koroma, sibblings & the nation currently in mourning. May the family & nation be encouraged through happy memories. May Mommy Alice’s Soul Rest In Peace. Amen. Personally known and close to her during my short work assignment in Makeni between 2008-2011.Indeed, she was very humble and kind to everyone,particularly to those in need of assistance of whatever kind. Oh Allah have mercy on her. May her soul rest in perfect peace. It is always a great loss when someone so special passes away. We can only imagine but we cannot know for sure the gravity of such a loss to the President snd the rest of his siblings. In my own little way, I write to extend my personal sympathy to Dr. Ernest Koroma and the rest of the Koroma family. This is a national loss. May her soul rest in perfect peace……..Amen. It is always a great loss when someone so special passes away. We can only imagine but we cannot know for sure the gravity of such a loss to the President and the rest of his siblings. In my own little way, I write to extend my personal sympathy to Dr. Ernest Koroma and the rest of the Koroma family. This is a national loss. May her soul rest in perfect peace……..Amen. may the soul of our beloved mother rest in perfect peace . Your Excellency,on behalf of the Sesay Family of Magbenteh Junction in Makeni I wish to extend our sincere condolences at this time of your loss. May the peace which comes from the memories of the love you shared comfort you now and in the days ahead. May the comfort of God help you and your family during this difficult time. Although no words can really help to ease the loss you bear, just know that you are very close in every thought and prayer especially from those who were privileged to cross the path of this great epitome of kindness. You have our deepest sympathies on the death of your beloved mother and first mother of our beloved nation. May light perpetual shine on her as her soul claims its rightful place at that beautiful shore where we shall meet by and by. May Allah(subhannahu wa ta’ala)grant her the comforts of Al-jannah in her grave and forgive her mistakes. And may Allah(SWT)console her beloved family she left behind and may He(SWT) continue to guide her son,the President,in his quest and determination to make Mama Salone a great and enviable nation. My family and I wish the President many more healthy years and, of course, a healty second term in the Presidency of this small but up-and-coming nation. May Her Soul Rest in Perfect Peace. My thoughts to the Family. may her gentle soul rest in perfect peace.Ameen. Our condolences to President Koroma and his family for the loss of their mother. May her gentle soul rest in perfect peace with the Lord. My condolences. She is a beautiful soul.